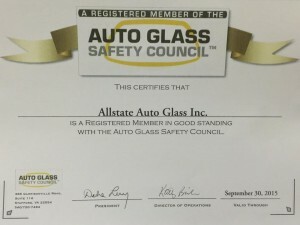 Allstate Auto Glass Inc. is the number one provider of all auto glass services. Located in Merrifield, VA, our full service auto glass company is locally owned and operated has been in business since 2000 . We offer quality work with a 100% satisfaction guarantee and a 100% customer service guarantee. Our company provides quick and free estimates over the phone. Let us bring our shop to you through our convenient and professional mobile service. 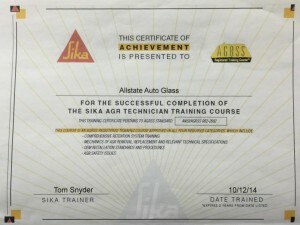 Allstate Auto Glass Inc. specializes in all types of windows and windshields for cars, trucks, and vans. Our professional, experienced technicians are experts at getting your vehicle back on the road as soon and as safe as possible, all while performing the installation at your location. Our company provides fast and convenient auto glass replacement and windshield repair. We specialize in all foreign and domestic vehicles. We are licensed, bonded, insured, and a member of the Better Business Bureau, assuring you will receive the highest quality of service guaranteed. Call us today at 703-645-2314 OR get a quick quote online for major Metropolitan areas: Virginia, Maryland, and the District of Columbia , and Pennsylvania. We have been in the auto glass repair business since 2000. We employ AGRSS and NGA certified technicians with more than fifteen years of combined experience. Thousands of windshields replaced and repaired. We stock only DOT-certified auto glass and OEM parts. We use only the highest quality adhesives and FMVSS certified urethane products. We stock over 10,000 parts in our warehouse inventory. We conveniently service Virginia, Maryland, and the Washington DC metro area. 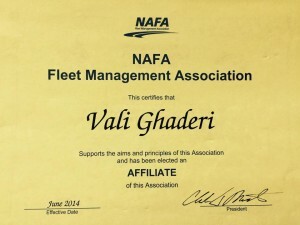 We partner with most insurance companies. We have a nationwide warranty. We feature fast and convenient mobile service.